Our DCRI team of nephrologists and urologists has years of collective experience in conducting federally-funded and industry-supported trials and observational clinical research. Backed by the unparalleled clinical research infrastructure at DCRI, we are ideally positioned and committed to advance clinical trials of all types in nephrology. "Multicenter clinical trials are desperately needed to define optimal approaches to management of patients across the continuum of kidney disease." 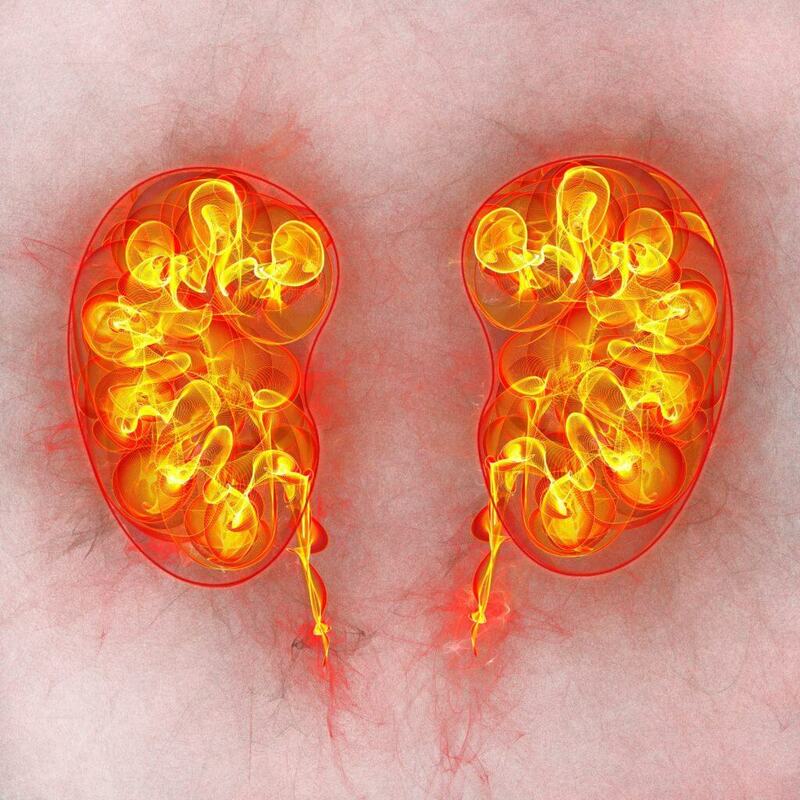 Chronic kidney disease is a global public health threat that confers high risks of end-stage renal disease, cardiovascular disease and premature death. 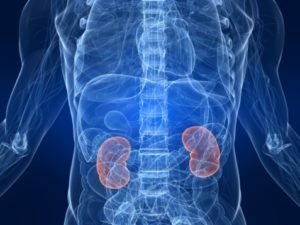 Historically, nephrology and urology have trailed other areas in its use of clinical trials to guide treatment of our patients with or at risk for kidney disease. 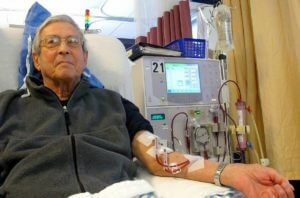 Multicenter clinical trials are desperately needed to define optimal approaches to management of patients across the continuum of kidney disease, from primary glomerular diseases to diabetic and other forms of chronic kidney disease and stone disease; and for patients with early and intermediate stages of kidney disease to those undergoing dialysis and following kidney transplantation. A new trial led by the DCRI seeks to answer the question of what is the optimal level of phosphate for patients with end-stage renal disease who are undergoing hemodialysis. The HiLo trial, led by Myles Wolf, MD, MMSc, is a pragmatic, multicenter outcomes trial that compares management of phosphate to either higher or lower serum phosphate targets. “By embedding rigorous research into clinical care delivery, HiLo addresses a question of great importance to patients and clinicians,”said the University of Pennsylvania’s Laura Dember, MD, a member of the HiLo Steering Committee. A study by DCRI researchers found that CPR performed by dialysis clinic staff was associated with a three-fold increase in odds of survival to hospital discharge. The DCRI’s Julia Scialla, MD, MHS, is a Duke Health Scholar whose work focuses on how unhealthy diets can exacerbate the symptoms of chronic kidney disease. Researchers with the Prevention of Urinary Stones with Hydration (PUSH) study are trying to determine whether using a high-tech water bottle and encouraging people to drink more water will reduce the recurrence of kidney stones. The DCRI will partner with the University of Oxford to investigate the effects of empagliflozin (sold under the brand name Jardiance) on the progression of kidney disease and the occurrence of cardiovascular death in adults with established chronic kidney disease. Myles Wolf, MD, MMSc, is Interim Director of the Nephrology Therapeutic Area at DCRI. He is Professor of Medicine and Chief of the Division of Nephology in the Duke University School of Medicine. Dr. Wolf uses a combination of patient-oriented studies, population-based epidemiological studies, clinical trials, and laboratory-based studies in his multidisciplinary translational approach. His research focuses on disordered mineral metabolism across the spectrum of chronic kidney disease, including dialysis, kidney transplantation and earlier stages. Dr. Wolf has extensive experience in clinical trial design and execution, including traditional NIH-supported trials (e.g., the COMBINE trial), pragmatic NIH-supported trials (e.g., the HiLo trial) and industry-sponsored trials (e.g., the FIRM trial). His research has been published in leading general medicine and subspecialty journals, including the New England Journal of Medicine, JAMA, the Journal of Clinical Investigation, Circulation, Cell Metabolism, the Journal of the American Society of Nephrology, and Kidney International, among others. Interested in a Nephrology Research Fellowship? The DCRI is committed to training fellows and junior faculty in order to develop the next generation of clinical researchers. Learn how you can become part of the Nephrology Research Fellowship Program and work directly with faculty members on a wide range of nephrology research. The Urinary Stone Disease Research Network (USDRN) is a group of scientists and investigators designing and conducting research on urinary stones (kidney stones) in adults and children in order to learn more about who forms kidney stones, what are the best treatments, and how to prevent stones from forming. Funded by the National Institutes of Health (NIH) and the National Institute of Diabetes and Digestive and Kidney Diseases (NIDDK), the network comprises a wide range of experts including adult and pediatric urologists, adult and pediatric nephrologists (kidney specialists), pediatricians, emergency department physicians, clinical trialists, nutritionists, behavioral scientists, and radiologists. The DCRI is the USDRN Scientific Data Research Center.